Plenty of cheese and a cream of celery soup, along with a little sour cream, make this tasty hash brown casserole. We used a package of refrigerated hash browns, but thawed frozen hash browns can be used as well. This casserole makes a wonderful brunch dish, and it's a perfect side dish for just about any meal, plain or fancy. 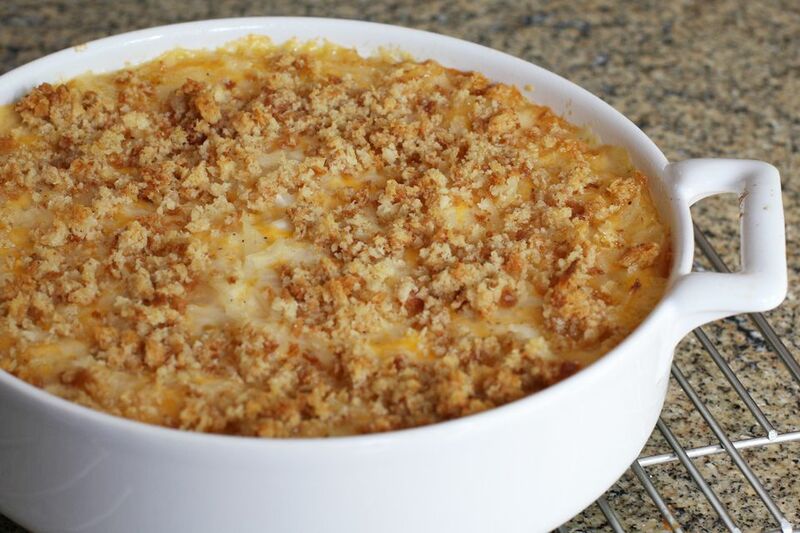 It's also a great casserole to take along to a potluck dinner. Spray a 2-quart baking dish with nonstick cooking or baking spray. Heat the oven to 350 F.
In a large bowl, combine the hash brown potatoes, soup, onion, cheese, sour cream, and 4 tablespoons of melted butter. Stir until blended. Spoon the hash brown mixture into the prepared baking dish. In a small bowl, combine the breadcrumbs with the remaining 2 tablespoons of melted butter. Stir to blend thoroughly. Sprinkle the bread crumbs evenly over the hash brown mixture in the baking dish. Bake the casserole for 50 to 60 minutes, until potatoes are tender and topping is lightly browned. Note: to use frozen hash brown potatoes, put the package of frozen hash browns in the refrigerator to thaw overnight. Or, empty the hash browns into a bowl, cover, and let stand at room temperature for about 30 to 40 minutes. Drain off any excess liquid before using the thawed hash browns in the recipe.